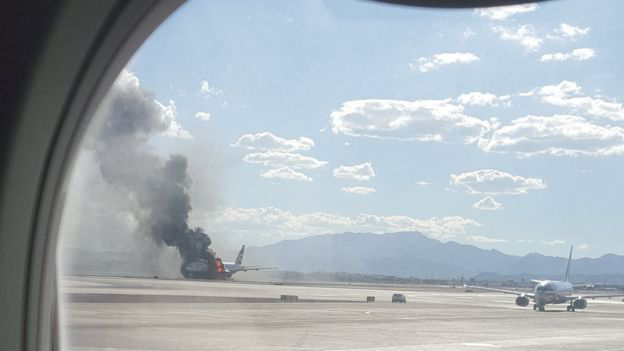 A British Airways plane bound for London has caught fire at Las Vegas airport, forcing the evacuation of 170 people on board on emergency slides. 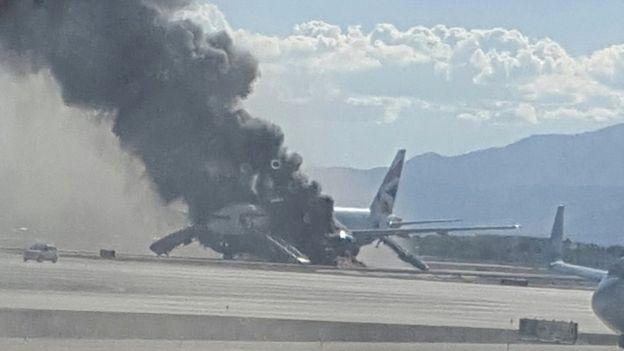 The pilot later told passengers that the accident was the result of a "catastrophic failure of the engine", reports the Guardian's Jacob Steinberg, who was on board the plane. 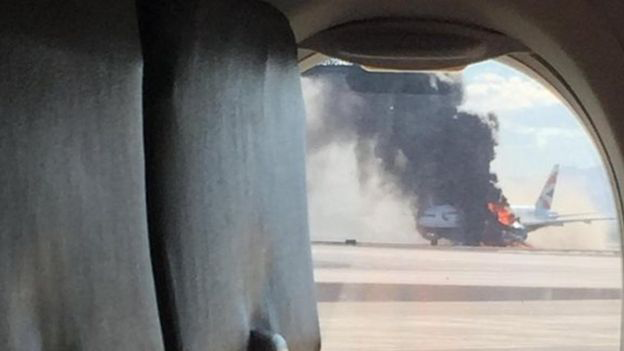 Most pilots will go through their whole career without having to deal with an emergency like this, but it's always on their minds. 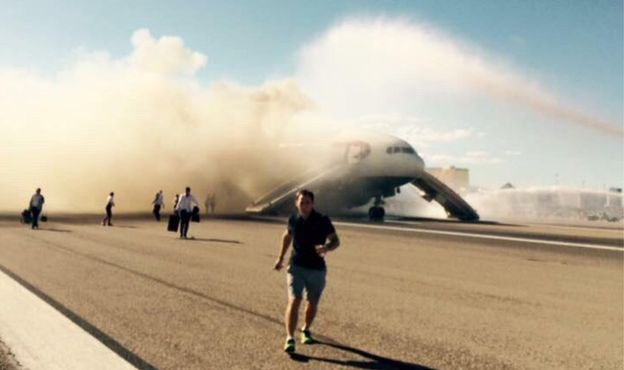 During every inch of a take-off, they are constantly thinking, "if something happens, what would we do?". They'll have discussed it before each flight too, talking through each possible emergency scenario and how they would handle it. And they'll have practised it every six months or so in the simulator, aborting take-offs. Above 180mph (290km/h), they would be forced to take off in this kind of plane, no matter what the problem was, because there is not enough runway to stop. Below that speed they have to make split second decisions, how bad is it? Do we throw on the brakes? Do we evacuate? 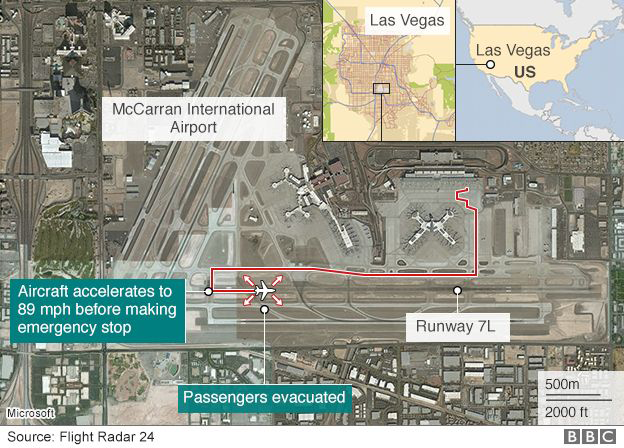 This flight was travelling at around 89mph when they decided to abort. 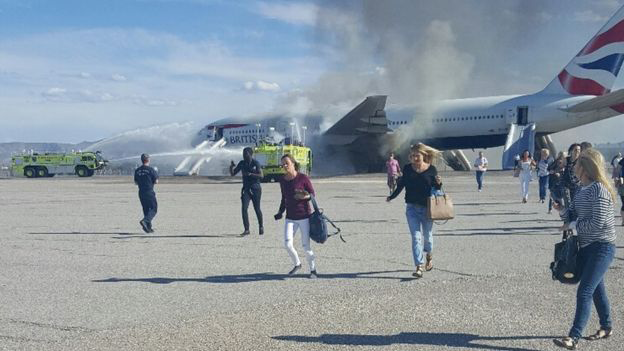 One experienced airline pilot told me that this BA crew seems to have reacted in a "text-book" fashion, getting everyone off quickly and safely. 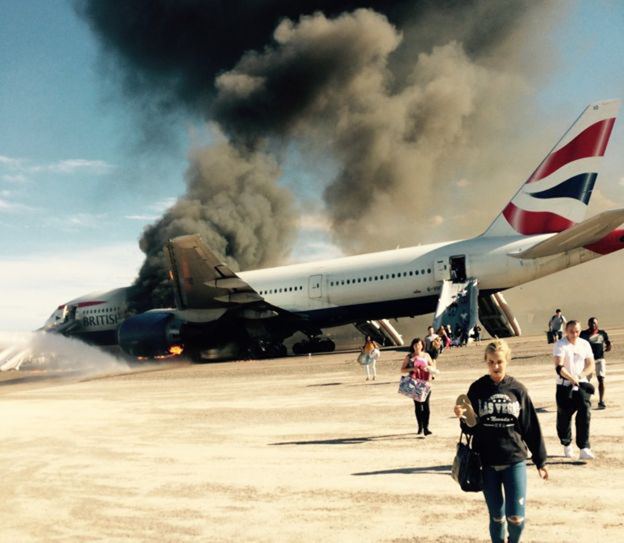 There were 157 passengers and 13 crew members on board. A spokesman for Rolls Royce told Reuters news agency the engine was not made by the company, British Airways uses engines made by either Rolls Royce or General Electric, the agency adds. 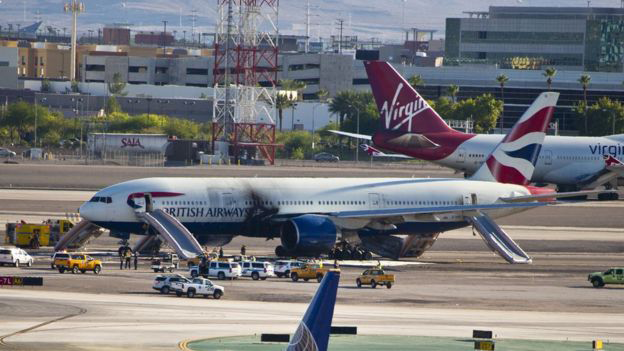 Airport officials said passengers were taken to the city's Sunrise hospital, most of them with injuries sustained while sliding down inflatable chutes during the evacuation.